It&apos;s said to be the most important meal of the day, and breakfast lovers can be very particular about what makes a decent brekkie. So when Chris H gamely posted a photo of his all day breakfast in a food rating group, it attracted some savage comments. But what was the big deal with Chris&apos; breakfast? Was the toast burned ? Was the tea too milky ? No, to the uninitiated, Chris&apos; breakfast simply looked a little…unusual. Here it is, as it appeared on Rate My Plate. There&apos;s definitely some bacon on there. As for the rest of it, many people were at a loss. Just not at a loss for words. Ashley Woodcock added: "There&apos;s nothing I love more than a bit of topsoil with my breakfast." 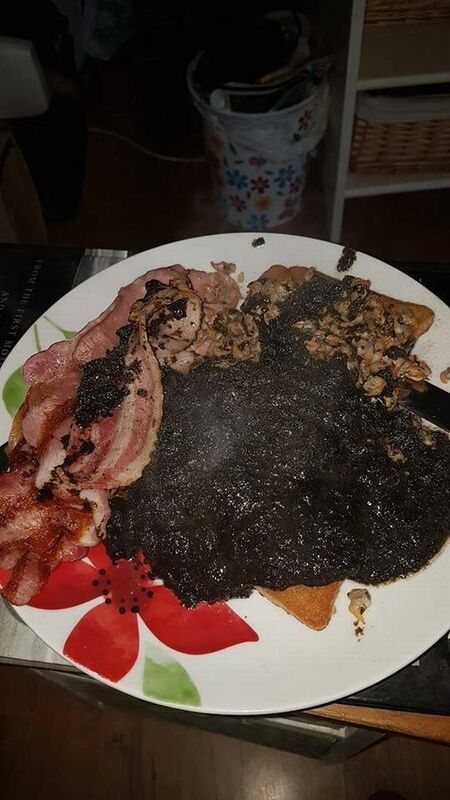 Ryan Lawn said: "I love soot from my chimney put on my breakfast in the morning, it keeps hunger locked up til lunch lol haha." Gaz Hughes said: "My friend used to eat tarmac for breakfast….he was a bit of a cyclepath." Chortle – good one, Gaz! Nathan Bones added: "Looks like the floor of a crematorium. Say hi to my nan for me." But there was a simple explanation behind Chris&apos; creation – and it didn&apos;t involve soil, tarmac or crematorium floors. Some food fans realised Chris has whipped up cockles alongside laverbread cakes, which is a Welsh speciality made of seaweed, rolled in oatmeal and fried off. 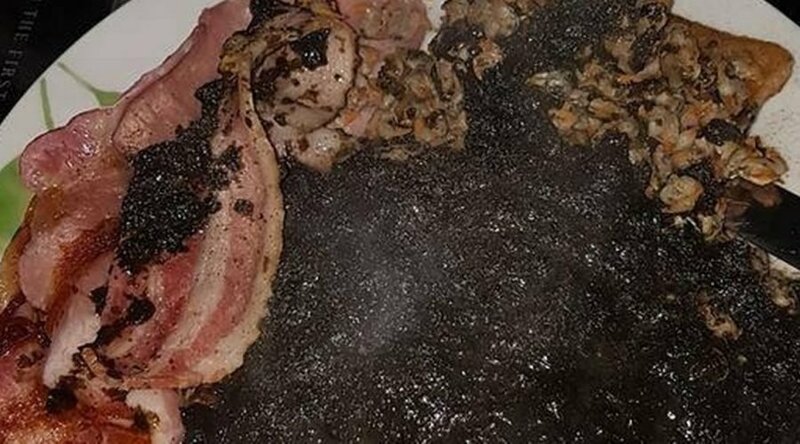 The dish is commonly eaten for breakfast in Wales and uses edible seaweed found around the west coast of Great Britain and the east coast of Ireland, along the Irish Sea. Laver seaweed has a high content of dietary minerals, particularly iodine and iron, making it taste like olives and oysters. Laverbread is traditionally eaten fried with bacon and cockles as part of a Welsh breakfast, or with hog&apos;s pudding in the south west of England. It actually sounds quite tasty, and plenty of other people waded in to Chris&apos; defence. Donna Louise Lattka said: "OK so the presentation could have been better. "But until you&apos;ve tried fried cockles, laverbread, smoked bacon and friend bread DON&apos;T KNOCK IT. "The only thing I&apos;d add, friend toms and a sunny side up egg, yummy!" Melissa Birchall said: "Proper Welsh Gower brekkie! Love laverbread, bacon and cockles! Yum." And Jason Davies added: "Beautiful love cockles and laverbread."